And on the gemstone list with Blue Zircon. Blue Zircon seriously sounds like something out of a Sci-Fi movie! It is however a really gorgeous blue. Blue Zircon is stunning and a beautiful intense, clear blue stone. It is believed to repel negativity and encourage love and happiness in to your lives which makes it a pretty awesome gift to celebrate 22 years together. And one that you know your wife will love. 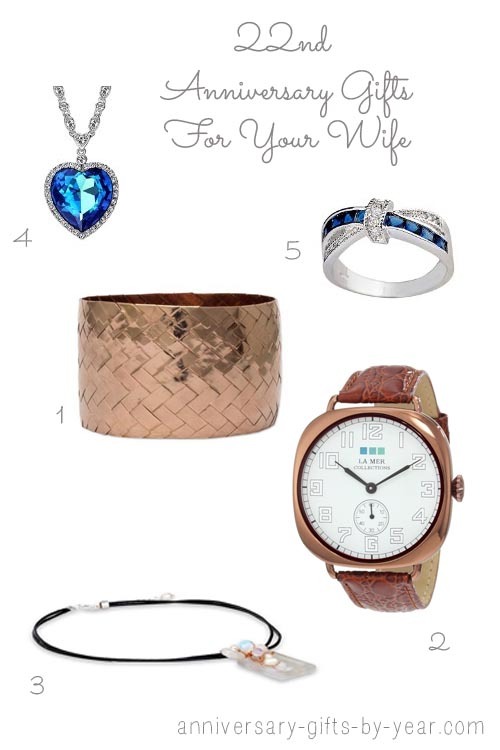 Plus also check out Amazon as they have lots of Blue Zircon Jewelry. Copper is a very Hot trend at the moment and one that you will see in many home stores. 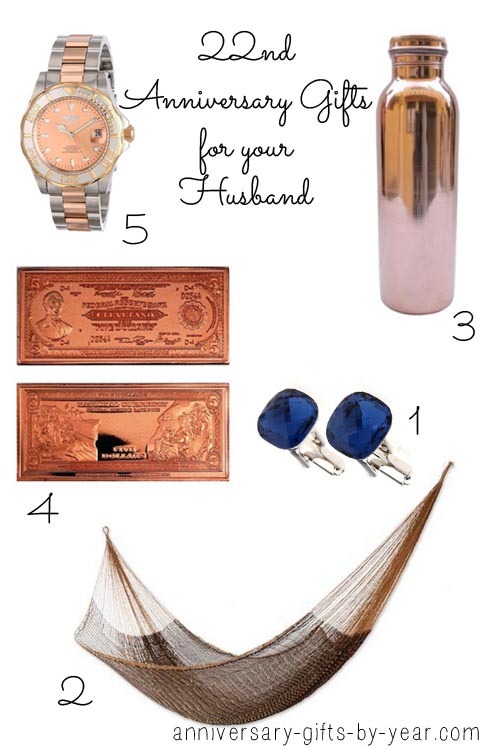 We also have lots of gorgeous copper gift ideas too. 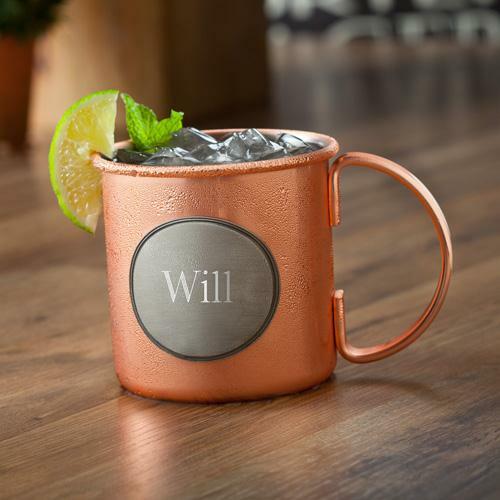 You could celebrate with Moscow Mules in your very own personalized Copper Moscow Mule cups. Copper and Stainless Steel cocktail kit - with all of the bar supplies needed to make their favorite drink. That would be a fun way to start your 22 years celebration! A jar filled with copper coins so they can treat themselves. Copper Hammock, for those relaxing weekends when all you want to do is to chill out together. Copper is a really powerful metal and it is used to promote healing. Gemstones set into copper are believed to be even more powerful due to the copper energy. 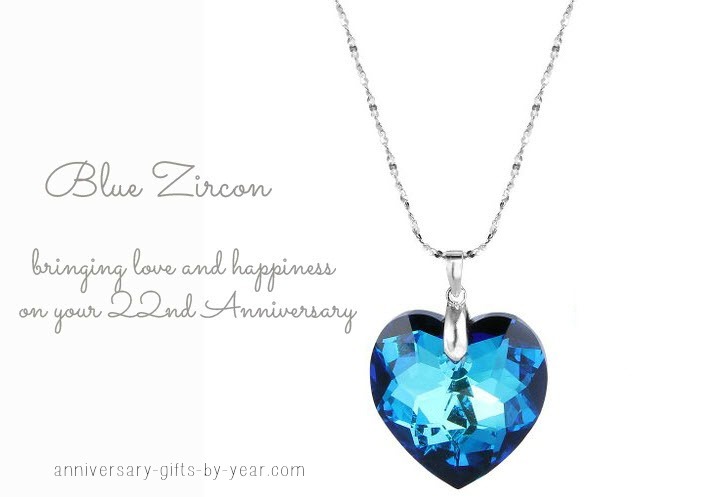 Blue Zircon’s for your 22nd Anniversary promotes happiness and love (source: Gemstone meaning), such a powerful gift for the love of your life.